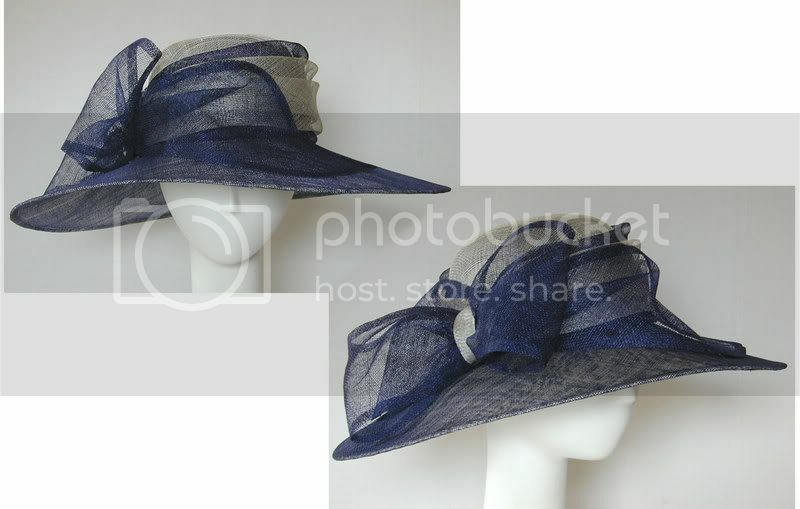 This amazing hat will have you ready for the Races, Easter,Mothers day or any event where you want to be stunning. Crafted entirely of sinamay straw cloth. It features a large 6" brim, sinamay draped crown and fabulous bow. Also shown in navy and silver: Or contact us for other color combinations.